Only small issue I have is in the control panel, uninstall proggies, but who care, really great skin!,and as stated, great on the eyes! I am really happy when I can get a dark skin and still can read all the text. properties then customize notification icons. In there is where I saw um or diddn't see text. BUT everything else is great! Sorry I'm no skin expert You did a good job though and I really appereciate the hard work all you guys and girls do Happy Easter! Are these problems present when using both the dark and light styles? Tim your skills have come along way from the beginning. Your ability to reach out side the box and bring fun yet user friendly themes to the community is only superceded by your dedication to your craft.. The Master title is well deserved ol friend.. yay!! hehe.. seriously tho.. excellent work..
Best dark blind ever! 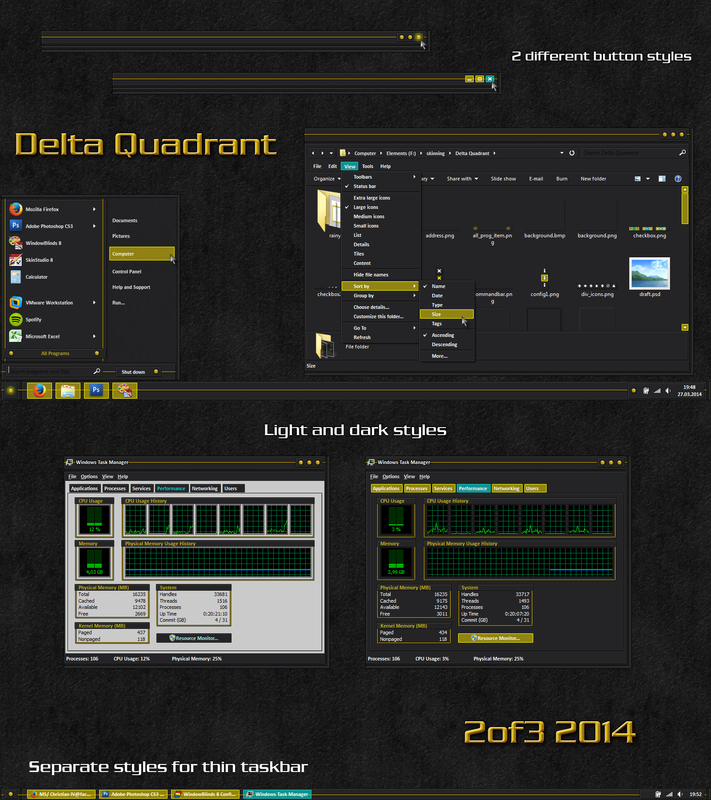 Very readable and the black background nis a nice contast to the icons in explorer.